This is the least secure type of lock, and the reason being that it is contained within the door lock. These types of door locks are usually installed on entryways and bathrooms because they are easy to break, hence they are not supposed to be used for the main entrance door to a building. It works with a button found next to the handle of a door. Deadbolts provide more security than basic door handle locks. They comprise of a solid metal cylinder, that protrudes through the jam of the door, these types of locks are installed just to add an extra layer of security to handle locks of doors. When this lock is installed you will need a key to unlock it from outside hence it provides some high level of security against those who don’t have the keys to unlock them. These locks don’t need keys to unlock them, hence, they are not manually operated. These types of locks rely on the input of a code on a keypad or through the use of a special to unlock them. Keylocks offer some of the best-secured doors you can find and you can find these types of door locks at GreenPro Locksmith. Keyless locks can serve as an extra layer of security on a door using the deadbolt. Keyless locks are mostly found in commercial properties and other places where extra security is required because of the nature of businesses handled there. Electric door locks usually work just like any other type of lock only that they are not operated through manual methods. There is a special electronic system that locks and unlocks such a lock system. Electric locks operate like keyless locks, they can be opened either by keys or through some codes on a keypad. An ideal combination lock works like a keyless entry lock, it comes with a push button that is located on a keypad and this is the only thing you need to lock and unlock the system. This type of lock does not need any electronic or digital form of opening, rather, it relies on a keypad on combination locks that will trigger the movement of the deadbolt located on the deadbolt of this lock. 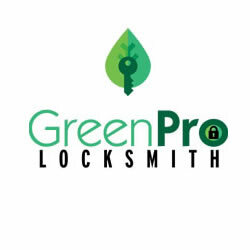 The type of lock you should request from GreenPro Locksmith should depend on your security expectations, and if you are confused about which one to use, simply contact a GreenPro Locksmith technician to come down and inspect the situation before recommending which option is most suitable. According to the Bureau of Justice Statistics, the incidence of burglary and theft is on the increase and can cost thousands in property damage and inventory. In most instances, employees are accomplices to the crime where cash transactions are not secured. Therefore, the threat of burglary and internal theft are real! Do you own a luxury car? You need to find a luxury cars locksmith right now! The most secured luxury vehicles can be messed up when you hire a non-luxury auto locksmith in Atlanta, even for the smallest key duplication issues. It can be difficult to break into certain luxury cars, and the reason being that manufacturer of such luxury brands are becoming more tech-savvy especially when improving security systems on the high-end vehicles. Due to the advancement in the making of modern car keys, modern car key replacement can pose a serious challenge to most car owners, fortunately, GreenPro Locksmith has come with an effective and simplified way of getting an ideal car key replacement that will give you peace of mind.